For 15 years Dr. Kostiuk has dedicated herself to the growth and education of psychology students, provisional psychologists, and registered psychologists. Dr. Kostiuk’s peers in the psychology community have nominated her to speak at the “PAA Connect 2017: Our Forum for Learning, Connection & Renewal Past, Present and Future – A Profession of Change is being held on May 26, 2017.” Dr. Kostiuk is one of the enlightened speakers at the PAA Connect Forum where she will share her methods on “What it Takes to Grow Your Unique Psychological Business.” Discussing her own experiences and the business building concepts one should focus on, Dr. Kostiuk is providing entail on what you need to do to have the successful psychology business practice you aspire to. 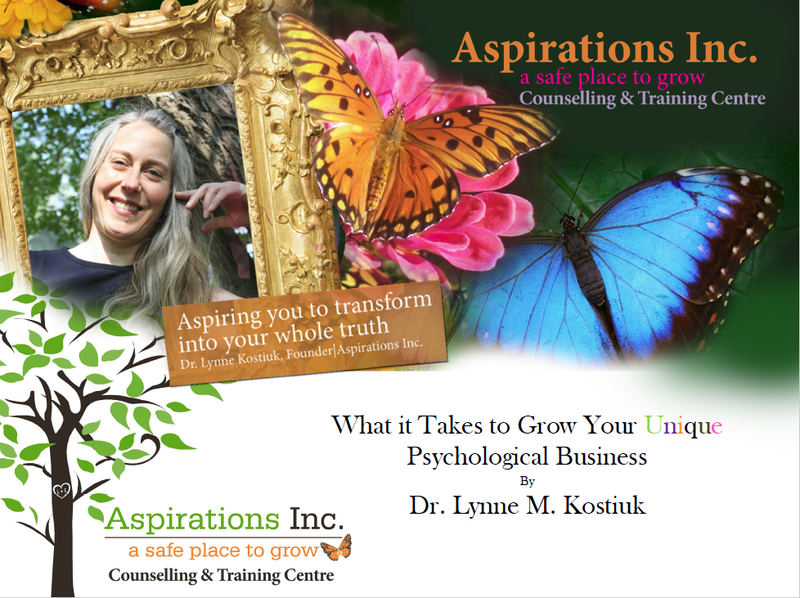 Moreover, Dr. Kostiuk will speak to her successful Psychologist in Business Training Program and the firsthand experience that hopeful psychologists venturing into the business world obtain through her mentorship. One of the only programs like this, Dr. Kostiuk’s Psychologist in Business Training Program is a learning opportunity for professionals like no other. The PiB program is an exciting and enlightening journey for inspiring psychology professionals to learn about the ins and the outs of a psychology practice. From learning about working as a psychological professional and to the framework of business, members of the PiB are guided through the world of business psychology. The program offers continuous learning through the Mentorship Model of Training. Dr. Kostiuk constantly inspires her team to learn from one another to share the different perspectives of knowledge. Members are also mentored in various different methods by Dr. Kostiuk providing: individual supervision (scheduled one–on–one supervision entails a series of meetings between a training member and a qualified supervisor to discuss files, cases, and explore the interweaving positive alliance of personal & professional growth) and professional development (on a quarterly basis, team members are provided an opportunity to demonstrate a relevant skill or share acquired knowledge with the rest of the team). Through Dr. Kostiuk’s supervision many members of the PiB program have successfully learned what it takes to grow as psychology professionals and the business world of psychology. If you aspire to have your own psychology practice come listen to Dr. Kostiuk speak at the PAA Connect Forum to learn about the benefits of her Psychologist in Business Training Program. Develop and learn the skills needed to have your own successful business!